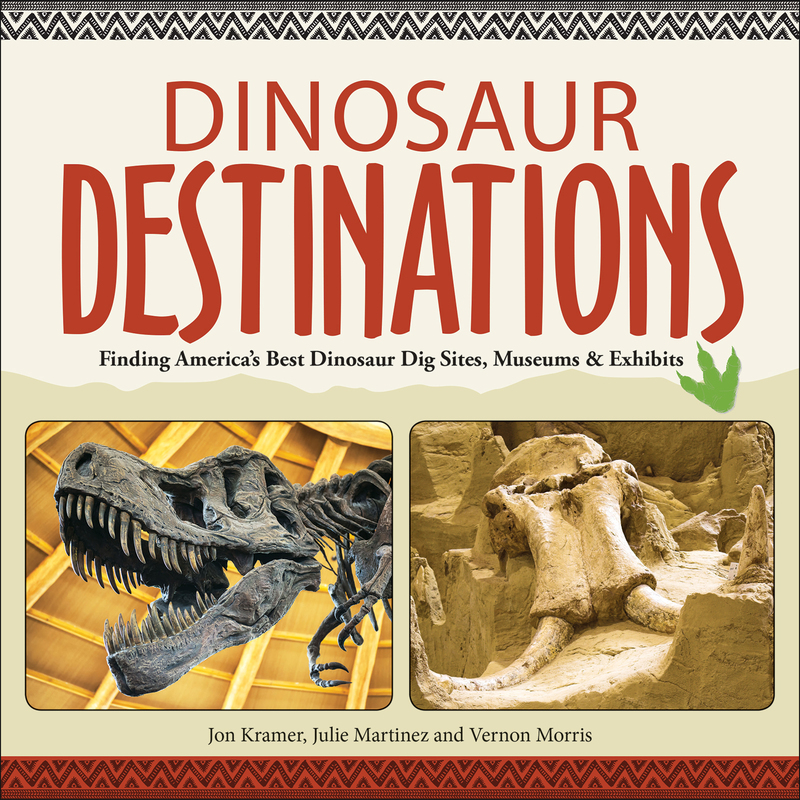 Jon Kramer, Julie Martinez, and Vernon Morris, authors of the book Dinosaur Destinations, explore the most exciting dinosaur and fossil sites near you. Today, we take a look at the U-Dig Fossils quarry located in Utah. 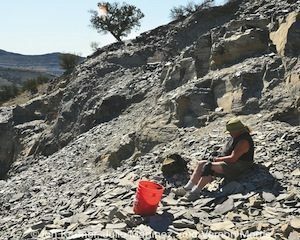 Found about an hour west of Delta, Utah, the U-Dig quarry is the place to go if you want to find trilobites. Trilobites, which became extinct before the Age of Dinosaurs, were oceanic arthropods related to present-day spiders and scorpions. 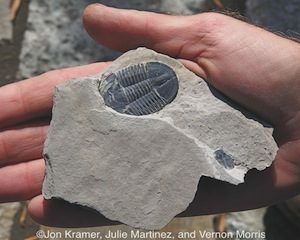 At the U-Dig site, zillions of trilobites were buried in the deep, dark muds of an ancient sea. Here, you find direct evidence of what scientists call the “Cambrian Explosion,” a period in time when life on Earth diversified very quickly. Trilobite populations, in particular, went bananas, and they ruled the Earth for many millions of years. Maybe we’re going a little off the dinosaur track here, but you’re gonna love it! Compared to trilobites, dinosaurs are young pups. Trilobites rose to prominence more than 500 million years ago. They aren’t just older than dinosaurs, they’re older than all terrestrial life! Yep—life on land started some 100 million years after these guys started swimming around in the oceans. Looking like a cross between a horseshoe crab and a space alien, trilobites are an unforgettable find. And given how many of them are in the Wheeler Shale exposures of U-Dig’s quarry, you’ll find plenty. We guarantee it! You can also find other fossils here—including sponges and brachiopods—but the trilobites are the stars of the show. The U-Dig Fossils quarry is located approximately 52 miles west of Delta, Utah, near Antelope Springs and about 130 miles from Salt Lake City. If you can’t make it to the quarry, you can have the quarry shipped to you! For about $90, the quarry will send you a 40-pound chunk of trilobite-rich slate, along with instructions on how to find fossils in it. For details and operating hours, visit their website.